Named after the monastery around which it was built, Sinaia is a mountain resort and popular holiday destination for Romanians and foreigners alike. 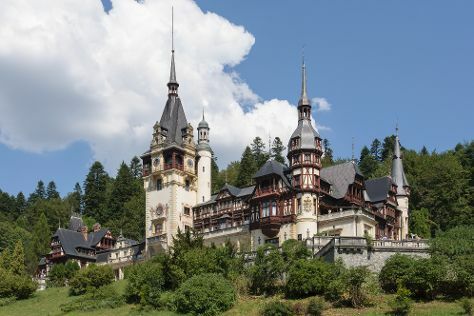 Explore the numerous day-trip ideas around Sinaia: Poiana Brasov (in Poiana Brasov), Bran Castle (in Bran), Râșnov Citadel (in Rasnov) and Cascada și Canionul 7 Scări (in Timisul de Jos). There's still lots to do: explore the historical opulence of Pelisor Castle, contemplate in the serene atmosphere at Sinaia Monastery, and take in the dramatic natural features at Bucegi Mountains. To find traveler tips, photos, reviews, and tourist information, use the Sinaia trip itinerary maker. Use the Route module to find travel options from your starting location to Sinaia. Cap off your sightseeing on the 5th (Mon) early enough to go by car back home.